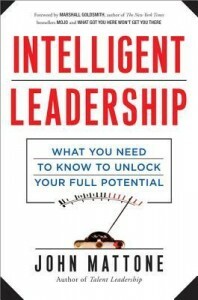 Home \ Blog \ News \ Reviews of John Mattone's latest book "Intelligent Leadership"
John Mattone‘s latest book “Intelligent Leadership”, with a Foreword by Marshall Goldsmith, was released in October 2012 and the book already received outstanding reviews. The book debuted at #18 on the CEO 800 Read best seller list and has enjoyed strong pre-sales on Amazon and other outlets. We want to share some of the reviews with you. A new demo video from footage shot at recent events where John has spoken is getting prepared right now. It will be a powerful representation of his presentation skills and content-rich material, showing why he is on the Thinkers50 “guru radar” as one of the world’s leading experts on the topics of Talent Management and Leadership Development. We will rush the link to you as soon as it is complete. Bio: John Mattone is widely regarded as the world’s leading authority on the Future Trends of Leadership Development & Talent Management. John has been recognized by the prestigious Thinkers50 as one of the world’s leading management thinkers and by Leadership Excellence Magazine as one of the world’s top independent leadership consultants, executive coaches and speakers. Professor Mattone’s work has been featured by The Huffington Post, CEO Magazine, CLO Magazine, CIO Magazine, The Globe and Mail, Harvard Business Review, and many other respected global news outlets. Professor Mattone and his work have also been the subject of a 30-minute documentary produced by PBS. 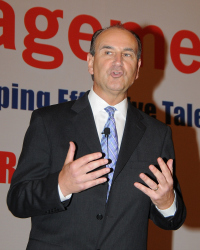 He is recognized globally as a powerful keynote speaker, prolific author and highly sought-after executive coach. He is known throughout the Fortune 500 as a cutting edge thinker in the area of trends in executive development and identifying and developing high-potential and emerging leaders. Speaking Topics: Future Trends of Executive Development & Talent Management; Talent Leadership: A Proven Method for Identifying & Developing High-Potential Employees; Succession Planning & Management; Leadership Intelligence. If you would like a copy of the new book or if you want to engage John for your next event, please let us know. Rob Lilwall gets great testimonial again!